If you are looking for a restaurant in Shingle Springs - El Doado County, you might want to check out Train Station Coffee Shop. With 'Breakfast in My Neighborhood' News10 viewers get a chance to decide where News10 Mornings anchor Dan Elliott will be broadcasting live from 5-7 a.m. this Friday, November 7. Voting began on-air Friday morning October 31 and ended Tuesday November 4 at 6 p.m. 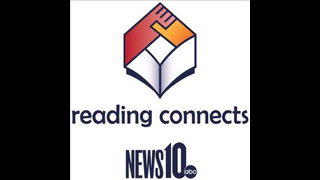 The winner was announced Wednesday November 5 on News10 Mornings. Mraz Brewing Company Labor Day Weekend Party! EL DORADO HILLS, Calif. – An El Dorado Hills craft brewery earned top honors in two categories at the 2014 California State Fair Craft Brew Competition Sunday. Mraz Brewing Company received gold medals for their Window of Opportunity Belgian Tripel Ale and their Flanders Red Ale dubbed The Cardinal. The Window of Opportunity bested 29 other beers in the Belgian Strong Ale category, while The Cardinal topped eight other entries in the Sours field. In total, 858 craft beers from 239 commercial brewers across California were entered into 33 different categories. Nationally acclaimed breweries including Stone Brewing Company, Karl Strauss Brewing Company, Lagunitas Brewing Company and Firestone Walker Brewing Company entered beers into the contest. If you are looking for a restaurant in Placerville, you might want to check out The Greenhouse Café. It is located at 2864 Ray Lawyer Drive, Placerville 95667, and its phone number is (530) 626-4081. Its normal hours of operation are Monday through Friday from 7:00 am - 2:00 pm, and Saturday and Sunday from 7:00 am - 1:00 pm. If you are looking for a restaurant in Placerville, you might want to check out Sweetie Pie's Restaurant and Bakery. It is located at 577 Main Street, Placerville 95667, and its phone number is (530) 642-0128. Its normal hours of operation are Monday through Friday from 6:30 am - 3:00 pm, Saturday from 7:00 am - 3:00 pm, and Sunday from 7:00 am - 1:00 pm.